In Tearaway you’ll journey through a vibrant, living papery world, with a plucky messenger who has a unique message to deliver - to you! As the papery world of Tearaway unfolds in your hands, you’ll be able to use your god-like powers to help your new messenger friend, iota or atoi, complete their very special delivery. We’ve designed the world of Tearaway to blend with our own through the unique features of the PlayStation®Vita, which allow you to help your messenger buddy to solve puzzles using the power of touch, literally breathe new life into this papercraft land, and reach up into the world using the rear-touch panel to see your fingertips appear inside the game! We think this is an adventure unlike anything you’ve played before. Normally a game has just one piece of box art, but we have two main characters for you to choose from - iota and atoi. Who should go on the front of the box then? It was an impossible choice for us to make, so instead of making it, we made a reversible double sided inlay, so you can decide for yourself! So finally, and without further ado, allow us to present the box art that you’ll be seeing on shelves this October. 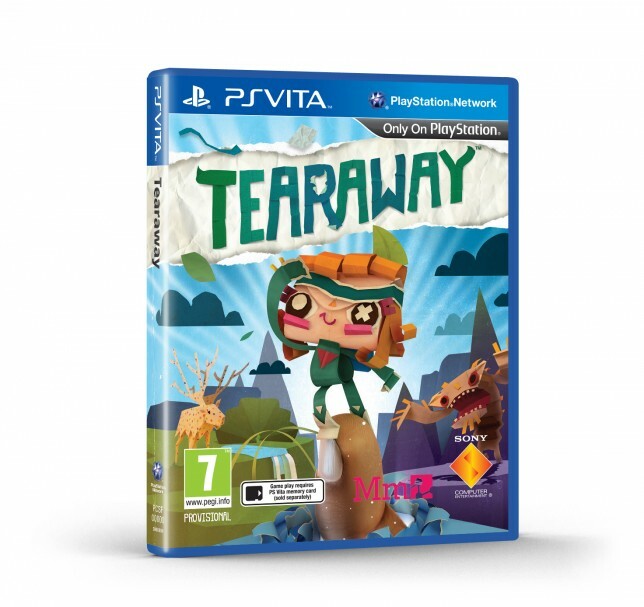 We’ll be back with more Tearaway news soon!